Holidays, they’re funny things if you think about them. A relatively modern phenomenon, but Warwickshire has some obvious attractions such as Shakespeare’s Stratford, Warwick and Kenilworth Castles, and Rugby School. They’re not the only places, naturally, and there are plenty of quaint villages, and let’s not forget Market Hall Museum, or even the County Record Office if you want to combine a break with a spot of family history research (as many do, it seems). Some historic places, such as Astley Castle, become the holiday destination in their own right. Warwickshire as a whole has a scenery and landscape that lends itself well to a stereotypical view of the English countryside with its rolling hills and hedgerows… even if that countryside sometimes masquerades as Teletubbyland! Anyway, why this as a blog? Hopefully by the time you are reading this, your esteemed web editor will have started his epic holiday treck for a week or two. It’ll be an attempt not to cram too much in and actually have a break, but the rather worrying challenge will be to try and find a Warwickshire link or two. Sometimes, they end up in the most surprising places. 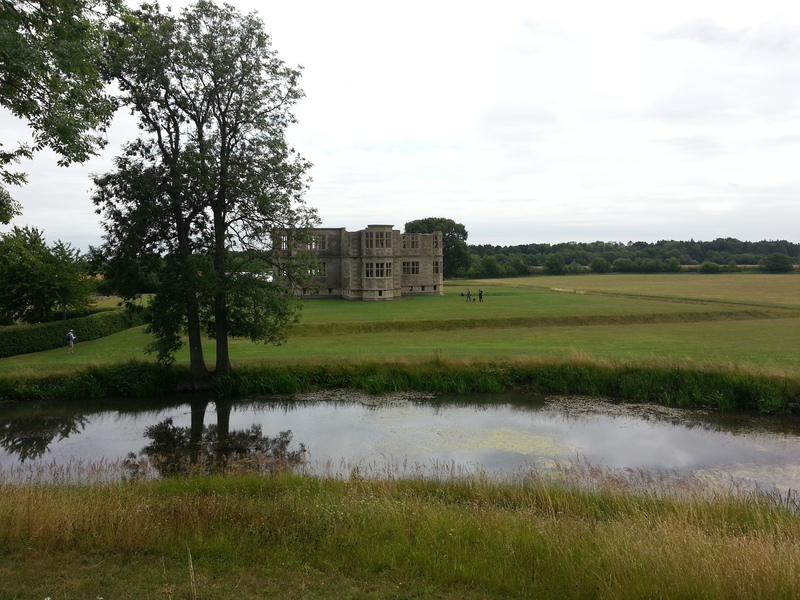 A trip to Lyveden New Bield revealed a rather strong Warwickshire connection. Who would think, meanwhile, that the Isle of Wight would stir up historic connections with this county? What this shows is that a place isn’t necessarily confined to its geographic area alone. That, after all, is part of the point of this website, to reach out to people with an interest in the county, but no longer live or work here Places occupy spaces that can be more malleable than you’d assume, their connections can turn up in the most unexpected of areas. On a practical note, don’t stop sending in your contributions! But if there is a small delay in getting them up or replying to messages then think of me, and pray that they’ve brought me sunshine. Oh, and follow the twitter account for Our Warwickshire on tour, interspersed with some links to interesting articles about the county!